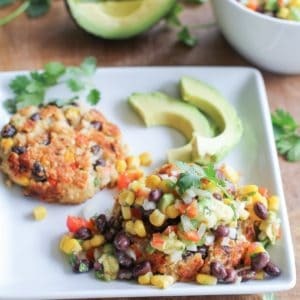 Southwest white bean veggie burgers with black bean and corn salsa make for a flavor-packed, nutritious vegetarian meal, or even appetizer! A great make-ahead option for busy weeknights! Fasten yer chaps and saddle up yer hoss, we’re going to the wild, wild…Southwest! This is what I imagine Pecos Bill would be eating if he decided to take a break from the ol’ beef. Or if Calamity Jane swept through the Southwest and rounded up all Pecos’s cattle while he was busy lassoing a tornado and he had no other option but to peruse his pantry. When you were raised by a pack of coyotes like Pecos Bill, something’s got to feed your insatiable hunger, and that something is a mountain of Southwest veggie al fresca. While a rattle snake-slinging ‘merican legend devouring a mountain of veggie burgers sounds a bit whimsical, these burgs are no tall tale. No, man. They’re legit. Little known fact: Pecos’s favorite meal was dynamite. And that’s what these burgs are. BOOM! The veggie burger. Can you get on board? It’s fairly impossible to trump a big beefy burger with melted pepper jack cheese and bacon, but veggie burgers certainly have their place in my mouth. 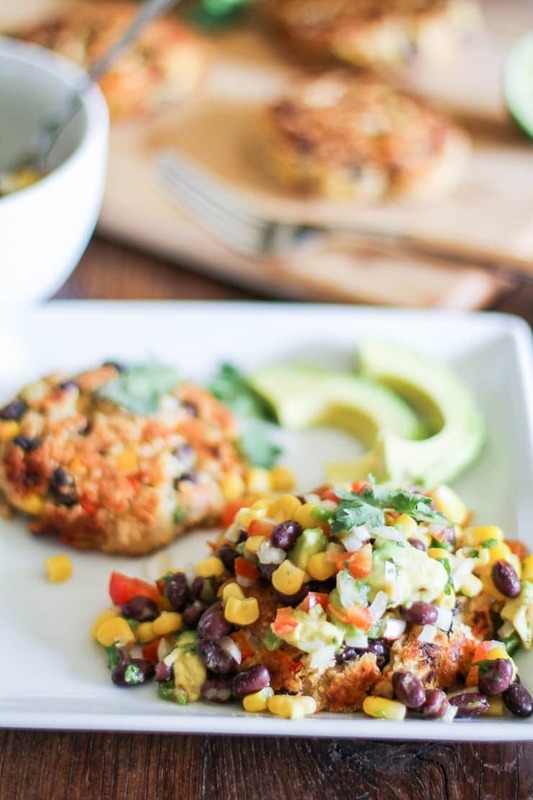 Especially when they’re double whammy-ed with Southwest-style ingredients and then topped with hunks of avocado and Southwest Black Bean and Corn Salsa. Why go to the Southwest just once when you can go there twice? 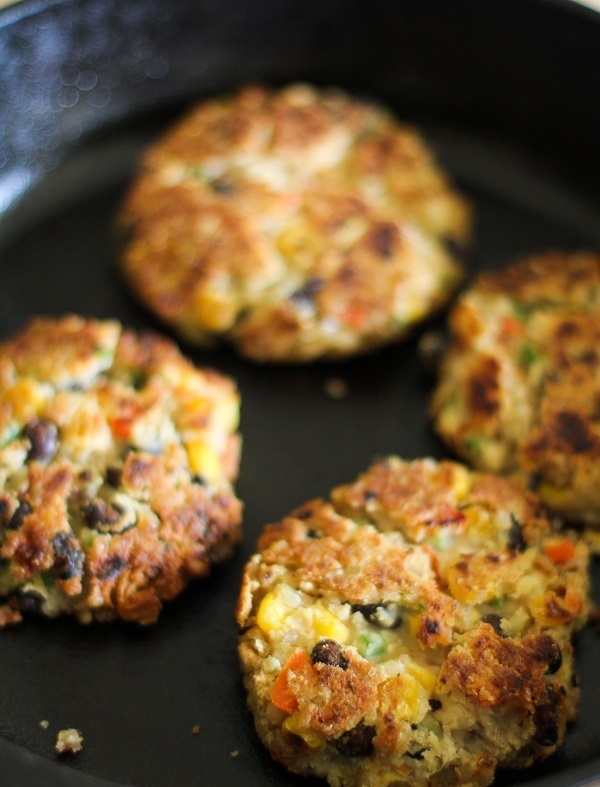 Little known fact: Pecos Bill made his veggie burgers in a cast iron skillet. 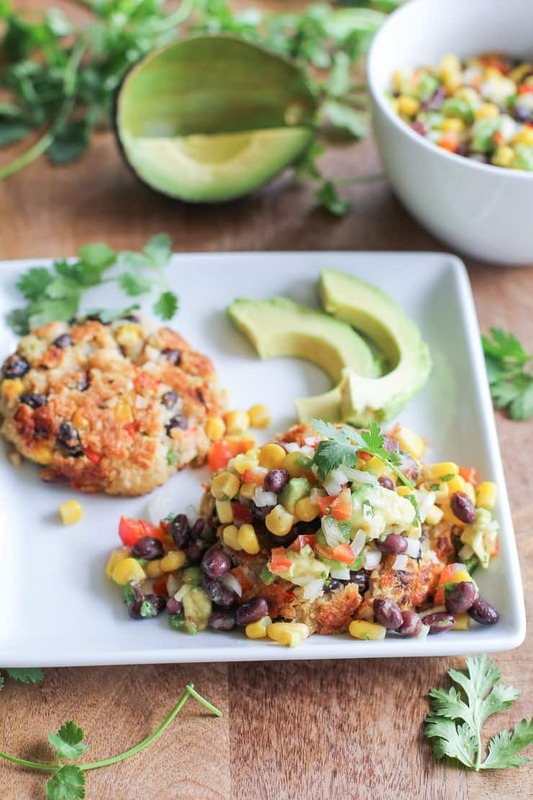 Other than all things Southwest, the veggie burger patties are made with white (cannelini) beans and brown rice, making them gluten-free. They’re super easy to put together and can be served as an entree or an appetizer. I like to go bun-less with these burgers, but you can certainly bun ‘er up. Go to the Southwest. At least twice. Prepare the Black Bean and Corn Salsa and refrigerate until ready to use. Rinse the white beans well and pat them dry. Add the beans at the cooked rice to a food processor and pulse until well combined. It’s okay if the mixture is slightly chunky. Add the white bean/rice mixture to a mixing bowl and mix in the lightly beaten egg. Add the remaining ingredients and stir together until combined. Note: If you’re using canned black beans and corn, be sure to rinse them and pat them dry before adding them to the mixture. In a cast iron skillet, heat 3 tablespoons of grapeseed or canola oil over medium (or enough oil to coat the surface well). Measure 1/3 cup of the burger mixture and form a patty using your hands (the mixture will be sticky, and that’s okay!). Carefully place the burger on the hot cast iron skillet and allow it to cook for 5 minutes. Carefully flip to the other side and cook an additional 5 minutes. Repeat for remaining burger mixture. I’ve been thinking about these burgers since you posted a preview photo the other day!!! My weekend has just been made!! They took a bit of gentle handling, for sure! The day I figure out how to make a veggie burger that sticks together as well as a beefy burger, I’ll certainly let ya know! Now this is what I’m talkin’ bout! Dynamite is my favorite meal too. I think these would blow a meaty burger out of the water, but that’s just me. Black beans and corn are one of my faves! Loooooooving this fabtabulous burger! Oh my goodness. Who needs traditional burgers when you can have these? So good! 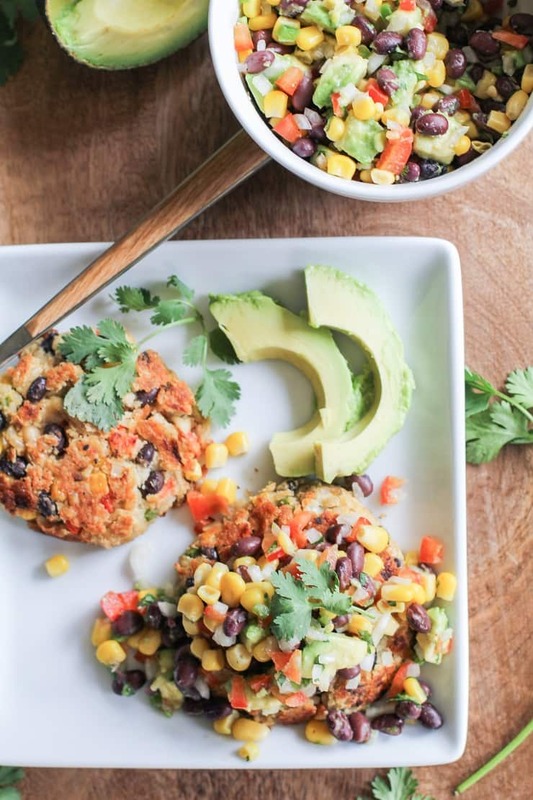 OK—it’s Memorial Day weekend and this post has me craving a veggie burger! Glad you like the burgs and hope you had a fun weekend! So happy you’re going to try them, Courtney! Let me know what you think 🙂 BOOM! Well if these are good enough for Pecos Bill, then they’re good enough for me! I want to go to the southwest a gazillion times over if it means getting to eat a gazillion of these. You’d love them! Pecos would want you to have them. These are INSANE. I’m off to buy a cast iron to feast my eyes on the babies in REAL LYFE!!! I knew you’d love these!! You can definitely make them in a non-stick pan. I tend to be a jackass on my high horse by insinuating you couldn’t possibly make the burgers without a cast iron skillet. It’s totes possible, I swears it 😉 Let’s eat these! These burgers have become a staple in my cooking repertoire since you posted them. I make them once a week! Everyone raves about them. Thanks so much for posting this delicious recipe!